MyPoints Review. 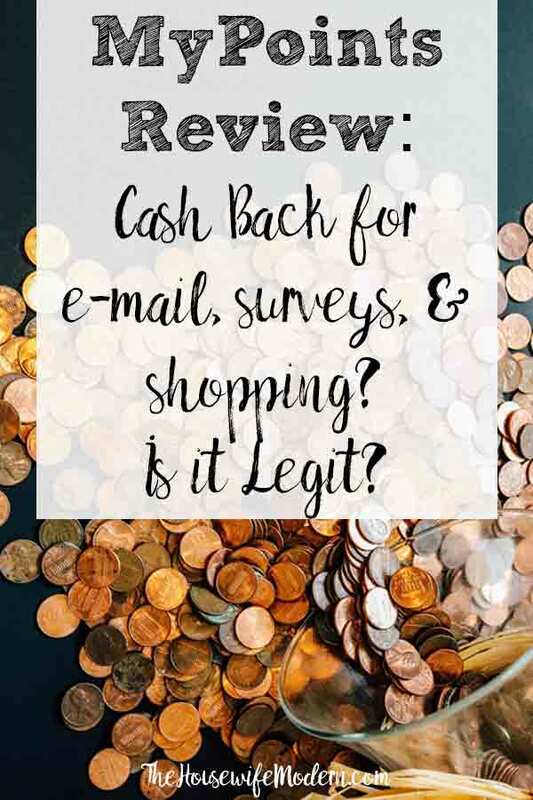 Cash Back for Shopping, E-Mail, Surveys, & More! As part of being a homemaker, saving money is important to me. Along with E-bates, the other site I use a lot is MyPoints. As you can see in the screenshot below, I’ve earned over 60,000 points over the years, which comes out to over $400. But for over three of those years I barely ever logged into MyPoints…I went through a busy period where I lost track of everything. I don’t recommend every site I try. I’ve tried out plenty of cash saving, cash back, and even survey sites over the years. Most I don’t recommend. But MyPoints is one I feel completely comfortable endorsing. 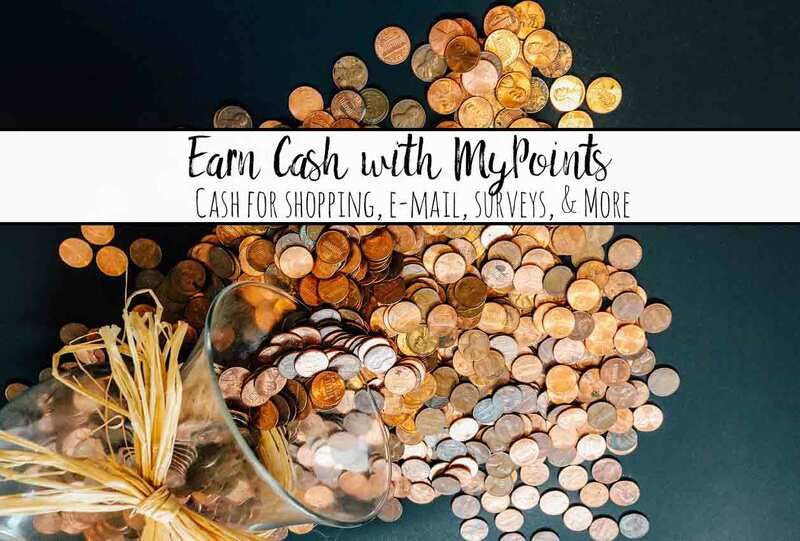 There are multiple ways to earn money online with MyPoints. I’ll also go over some of the pros and cons of MyPoints. But, honestly, it’s free to join. So I feel kind of silly pointing out the “cons” of a situation in which people are giving me money! haha. Since I mentioned Ebates, you can check out “Ebates: Cashback for Shopping. Is it Legit? Is it a Scam?” if you’re interested. But for now, let’s talk about MyPoints. My lifetime earnings with MyPoints...over $400! The fastest and easiest way to earn is to just sign up here>>> Join MyPoints & Earn $10 FREE. With your first shopping purchase of over $20, you get a $10 credit at Amazon. Can you turn down $10 free? • Did I mention it’s free? • You get a $10 Amazon gift card with your first purchase of $20 or more! 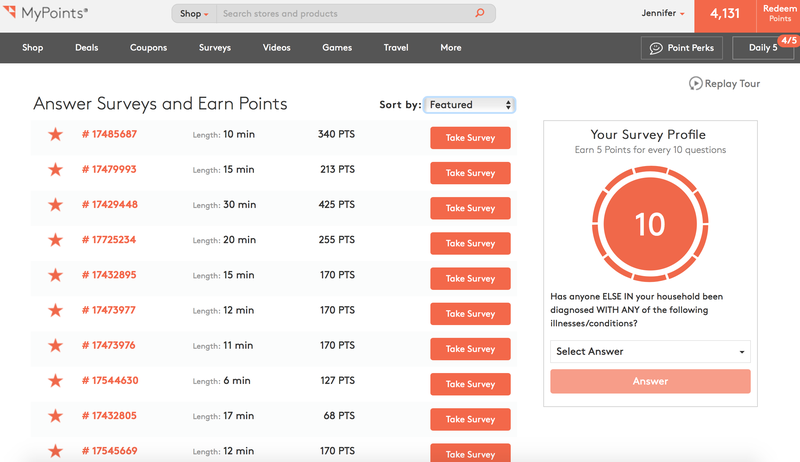 • There are a ton of ways to earn points. If you don’t do a lot of online shopping, you can still earn points through reading e-mail, voting in the daily poll, doing surveys, and more. And when you do shop online, take advantage of the cash back. • You earn points. And the points convert at different rates. I always take the time to look through a few of the gift cards and make sure I’m getting the most cash for my points. For example, right now, 140 points equals $1 at Barnes and Noble. But you need 158 points to get that same $1 at Amazon. • You need to be honest about what your time is worth. For me, clicking on an e-mail for 5 points is worth it. It takes a few seconds. But for me, watching the videos is completely NOT worth my time. For the surveys…if I’m bored or need a break, I’ll go do one. But I won’t take time away from something else to do them. So I haven’t really maximized my potential in that area. This is my favorite- and lowest effort way- of earning cash from MyPoints. They usually send between 2 and 4 e-mails a day. Some don’t give you any points for reading. But some do. I have a screenshot below of one I got just today! Click the little button in the e-mail and I earned 5 points. Yep, it took a total of about 2 seconds. I also like the e-mails because I learn about any special offers they’re having. Earn cash by reading and clicking on e-mails. Another way I often earn money is the special offers that they have. For example, I’ve been wanting to try out Deck of Scarlett. They deliver a make-up palette to your door every two months. You have the option of skipping it before it ships. But hadn’t got around to it. But MyPoints was doing a 1,000 bonus for signing up! Sign me up! Or Gillette just started a “Gillette on Demand“, which is just like the Dollar Shave Club. 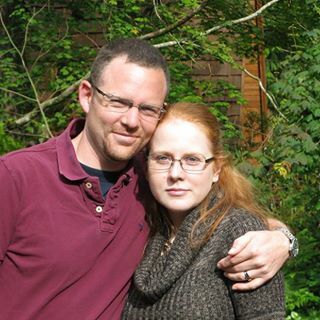 My husband uses Gillette and I get tired of buying them at the store. Plus they were cheaper…not to mention every 5th order is FREE. And there was an offer to 5,000 bonus MyPoints for signing up. You can bet I clicked on that link! In the past, I’ve done offers where I’ve purchased Purex at Wal-Mart and sent in a copy of my receipt and got bonus points. As you can see, there are a wide variety of special offers that come out on a regular basis. This is one of my favorite parts of MyPoints. I almost always get cash back for shopping online. If Ebates doesn’t have a store featured, than MyPoints usually does. 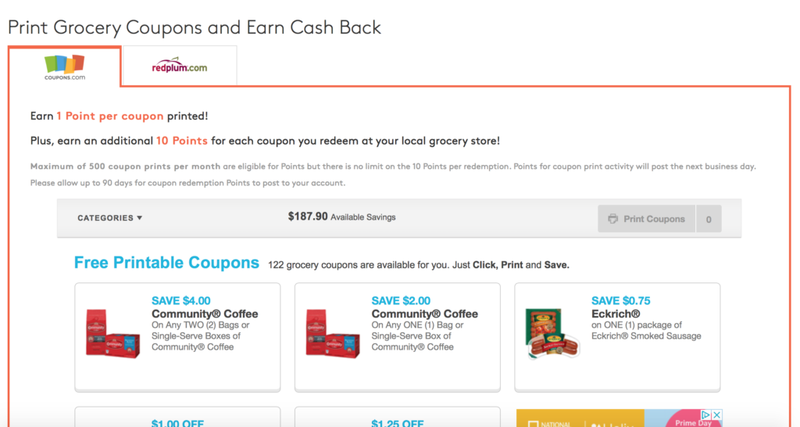 MyPoints has hundreds of different stores and you get points back for every dollar you spend. You just go to MyPoints. Select the store. 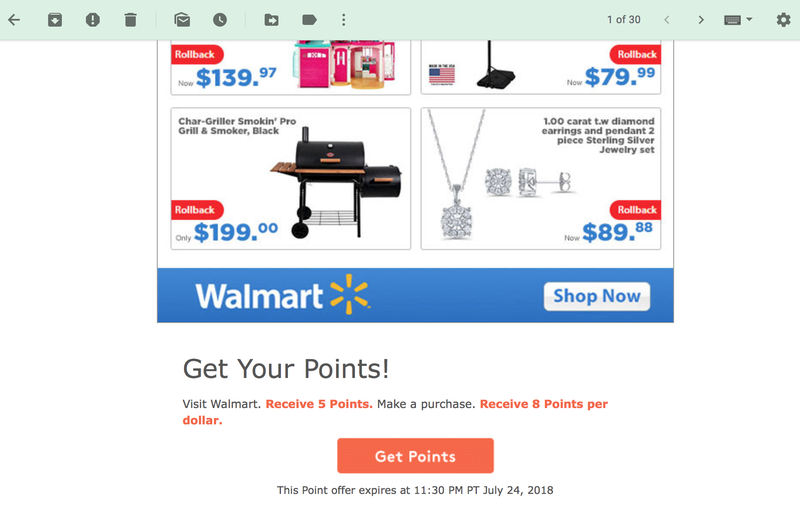 Click where it says “Earn Points.” It will direct you to the store site and you shop just like normal! As you can see in the screenshot below, you can navigate by letter so it’s easy to find what store you’re looking for. Each cash back by shopping with MyPoints. 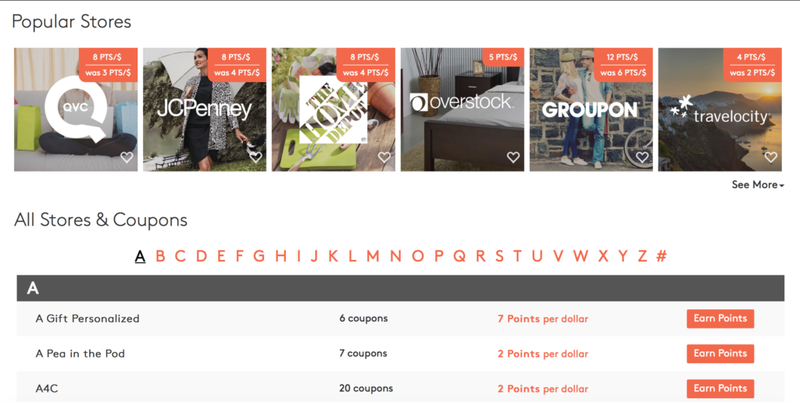 You can earn money by clipping coupons (aka- earn money by printing coupons) as well as for redeeming them! Yep, I love this feature. I only ever print out coupons I’m going to use (ink cost money). But the extra points above and beyond the value of the coupon is nice. Earn cash by printing and redeeming coupons. You may have heard of getting taking surveys for cash. While there are some- okay, a lot- of scam sites out there, MyPoints is NOT one of them. You can get points for taking these paid online surveys. This is one area I don’t take advantage of. Not because it’s not worth it…it probably is. Just because I’m too busy and forget to do it. But next time you’re watching TV, why not fill out a survey in the background and earn some money? 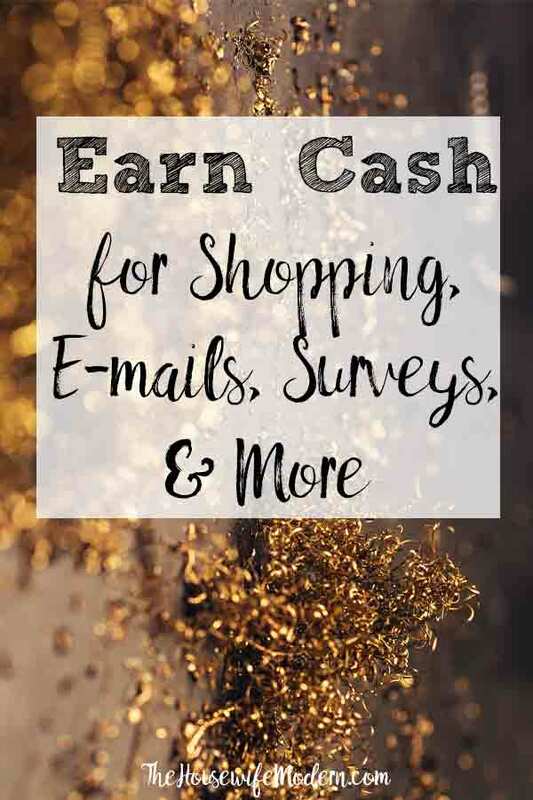 Earn cash by taking surveys with MyPoints. This is one area that I think MyPoints is taking advantage of members. Of course, the members are volunteering their time…but still. I never do this. But if you’re bored, you can. I think it takes a ridiculous amount of time for a very small amount of points. Basically, you’re going to get paid to watch ads. So if you want to earn money by watching ads….a very small amount of money, this is an option. But seriously…12 minutes of my time for 2 little points? I don’t think so. My recommendation: skip this. If you have that much time, I need some help with my website! You can see in the screenshot the amount of time they expect for the very little number of points. Earn cash by watching videos...honestly, though, this is one method I don't use. Overall, I highly recommend MyPoints. It’s one of my favorite sites online and I either visit or read their e-mails almost daily. So, click there>>> join now and get you free $10! (Don’t forget, you get the $10 after your first $20 purchase at any store in their program…there are hundreds).